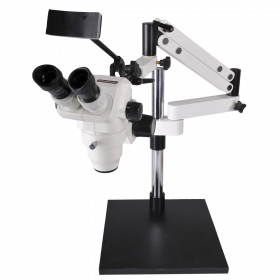 This high quality combination includes OptixCam's high resolution CX-3 1080p LVDS microscope camera/display with Omano's top of the line OM99-T trinocular stereo zoom microscope head and premium V15 dual-arm boom stand. 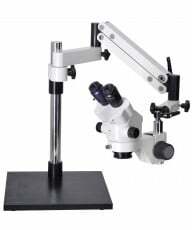 With excellent optics throughout the microscope system, it is an industrial inspection system that can also be used as a standard optical microscope using the included super wide field, SWF10x eyepieces.CameraAn upgrade to the old CX-3 microscope camera, the new CX-3-116 sports a larger 11.6" monitor with improved connections and use interface. It is better quality than the old HDMI 1080 in every respect with double the functional resolution, an expansive, 11.6"-inch display and an improved on screen menu system, all at the same price. 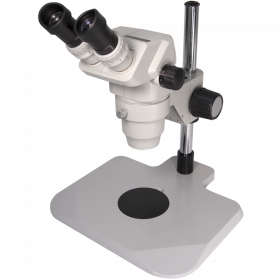 The TFT-LCD display offers vivid resolution and exceptional off-angle viewing capability and with a standard C-mount, the new camera attaches to any standard trinocular microscope fitted with a C-mount adapter. FeaturesThe CX3 display finally brings a useful sized monitor to the world of industrial inspection, laboratories and schools. At 11.6", the display is a pleasure to use with good on screen controls and a remote control. A standard SD card slot allows you to conveniently transfer image files via SD card for later analysis and file-sharing on your PC. A particularly useful feature is a cross-hair generator that enables up to eight on-screen, cross-hairs in five different color options. 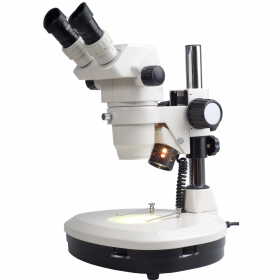 Other features include auto white balance, RGB adjustment, auto and manual white balance and auto exposure.The camera has a standard C-Mount fitment, and a C-mount adapter (not included) will be necessary to mount the camera to a microscope.LVDS technology offers a number of key benefits to digital microscopy, including richer color definition, better signal integrity, greater bandwidth capacity, encryption protocols and high-definition video. 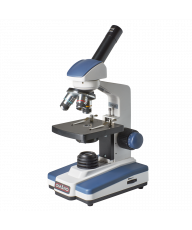 The CX-3 showcases this technology in an affordable and versatile package for the biology classroom, industrial inspection line or clinical teaching laboratory.Camera AccessoriesAC Power adapter, Remote Control Keypad, Remote Image Capture Controller.Dimensions: Display - 11.0" x 7.0" x 0.5"; Camera - 2.0" x 2.0"; Wt. 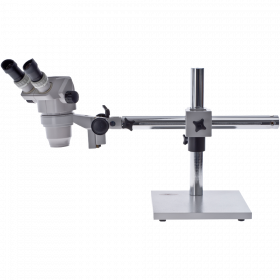 3.0lbs.MicroscopeThe Omano OM99 is the top of the range of Omano zoom stereo microscope that compares favorably with its Olympus cousin. 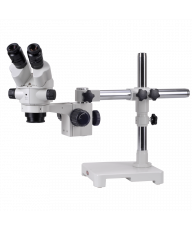 Featuring 6.5x-45x parfocal magnification, it is built round six prisms and, in our opinion, is the best quality stereo microscope out of China. 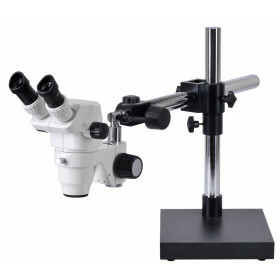 The two Super Wide Field SWF10X eyepieces enable window pane viewing for less eye strain and include rubber eyecups. 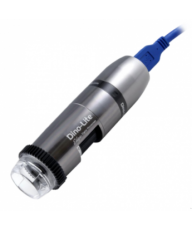 Dual diopters are integrated into the eye tubes for individual eye adjustment. and interpupillary adjustment range is 55mm-75mm. NOTE: When the photo-prism lever is engaged in the OM99-Trincular, 100% of the light from the left optical path is directed to the camera port. 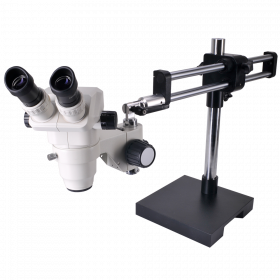 The image can still be viewed through the right eyepiece. 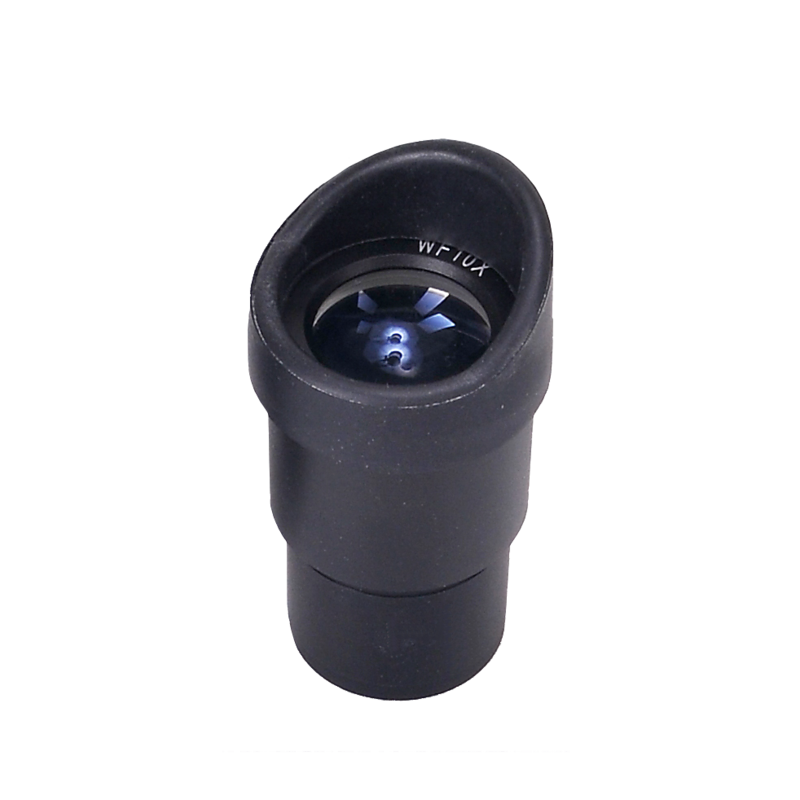 The package also includes a 0.5x C-mount adapter and a 76mm focus ring offering a working distance of 3 3/4" which increases to over 6" with the addition of a 0.5x auxiliary Barlow lens. Optional Barlow lenses include 0.3x, 0.4x, 0.5x, 0.75x, 1.0x and 2.0x.Focus & Illumination Focus controls are both left and right hand side for convenience. 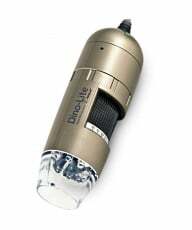 An 80 LED ring light for shadow free illumination is included in the price and can be upgraded to stronger LED or other lights when adding to cart.